We are locally-based and member-owned, with a strong focus on giving back to the communities where we live and work. We are proud to be recognized as one of Canada's 50 Best Employers. It?s a reflection of the passion and dedication we share in helping our employees, members and communities Achieve Better Balance. 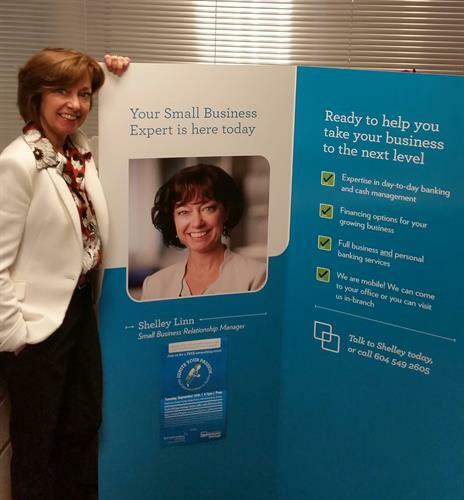 I am a small business advisor and bring to the table over 30 years' experience in the financial industry. I provide owners with exceptional service, advise and financial support by tapping into my years of expertise while creating customized personal and business banking solutions. My experience allows business owners to focus on growing your business, rather than day to day financial details. What I love most about the role is learning about and working with unique businesses, meeting new people an getting caught up in the passion you have for your product or service.